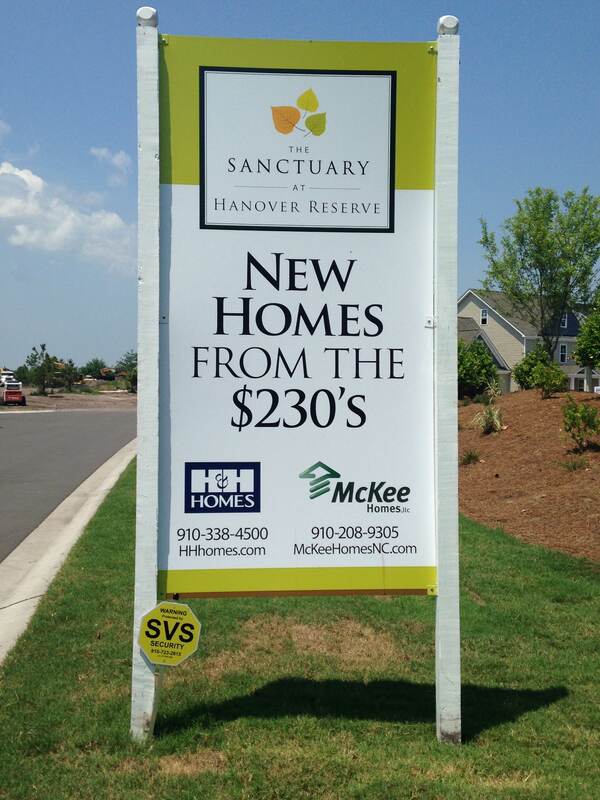 Hanover Reserve is a top selling new home community in Wilmington's Ogden area. With two fantastic builders H&H Homes and Mckee Homes offering over 20 floor plans starting around 2,000 square feet and pricing in the mid $200's your family is sure to find the perfect home plan for their needs. Features of these homes include hardwood floors through out most of the 1st floor, granite counters, ceramic tile back splash, 9ft ceilings, stainless steel appliances, large covered back porches, sod & irrigation systems all situated on a nice sized lot. Hanover Reserve is perfectly located in Ogden just far enough off the beaten path to give this community a secluded and private feeling while being so close to all Wilmington has to offer. Ogden Park, Wrightsville beaches, local shopping & dining, schools, downtown Wilmington and the airport can all be reached with in a short drive. Throughout the community the developer used lots of common area, ponds and green space to create character throughout the community. Why would Hanover Reserve suite your needs? Here are a few reasons why. - Private family oriented community in a desirable area convenient to Wilmington beaches, parks, airport, downtown, schools, shopping & dining. HOA dues as low as $26 per month. New homes that come with a 1 year, 2 year & 10 year warranty for peace of mind. Opportunity to customize your home by selecting the floor plan, perfect lot and design features in your new home. Multiple home plans boasting 4+ bedrooms with upgraded features offered at affordable prices. Build your next home with as little as $1,000 down. No city taxes. Whats not to love?